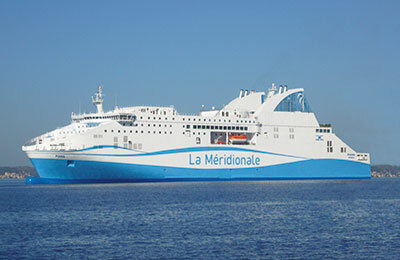 Book Ferries to France, Corsica and Sardinia with CMN La Méridionale - Marseille, Bastia, Propriano, Ajaccio & More! How long before departure should I arrive for La Meridionale? 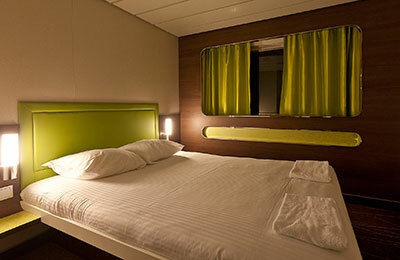 Overall a great experience with AFerry and Meridionale. Check in at Marseille and collecting our tickets (AFerry sent us a reference number, not tickets) was all very efficient. I had also paid for restaurant meals - but after booking the ferry - and we collected our tickets for these at check in too, no problem. Only had to queue to go through security check (bag search) before boarding ferry. Very impressed they have escalators on the ferry, as we had suitcases! Ferry left and arrived on time. Very smooth crossing. Cabin very clean. Restaurant was good. A lovely start our holiday. Overall we were very impressed with the quality of accommodation, food and staff. However, we were less than impressed with actually finding where to check in at both Marseilles and Ajaccio. In fact at Ajaccio the man on the gate was less than helpful and ill informed. In future it might be better for the company to issue clearer, more precise instructions. PS. I am a fluent French speaker and still found it very difficult.